A karambit’s design set it apart from other kinds blades. 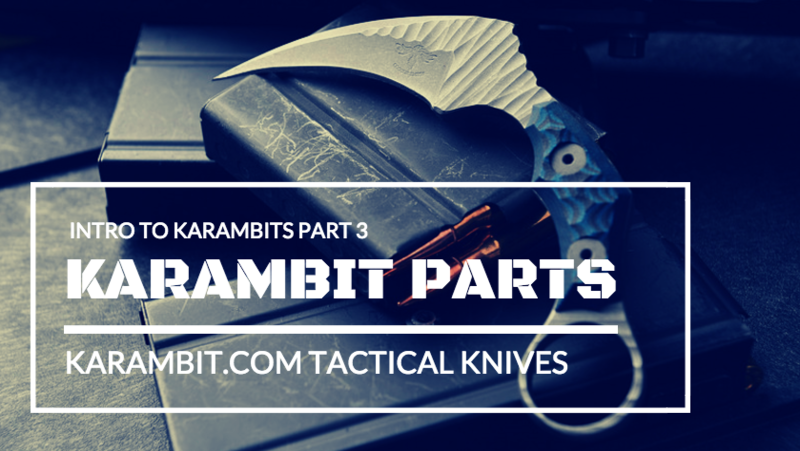 More importantly, the design features provide the versatility and combative advantages karambits are known for. Every karambit shares several core identifiable parts. 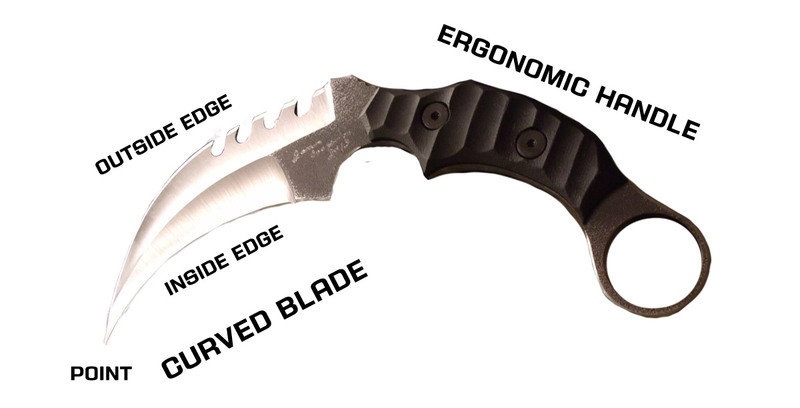 In order to be considered a karambit, a knife must meet the basic "anatomy" requirements. 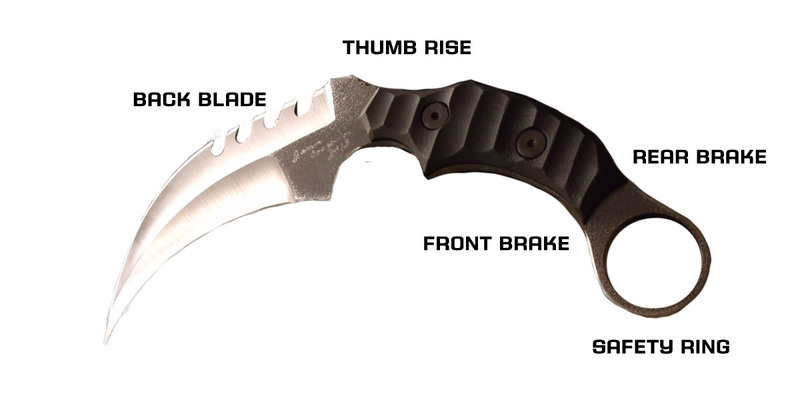 Those 10 basic parts of the karambit form the structure of the blade. Everything else is just details. By changing the grind, handle/blade materials, serrations, gut hooks, ring talons/points, blade belly, finger grooves, bevel, filework/edgework or any other design feature, a karambit's design can be endlessly tweaked and changed to suit specific tastes, preferences or uses. Need a karambit custom designed or want to know more about karambit basics? Contact us!